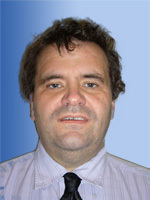 Tristan Brittan joined Grosvenor in January 2005. His interest in stamps started in the early 1970s when he was given a large packet of Malayan stamps. After finishing school in Wokingham he went to work for Stanley Gibbons, gaining a useful knowledge of Commonwealth and GB including Postal History. After leaving Stanley Gibbons he worked with various dealers to widen his experience, and travelled frequently to Hong Kong where he developed an extensive knowledge of Asian philately.